Ancient Greece and China Compared | Free eBooks Download - EBOOKEE! Posted on 2018-05-19, updated at 2018-06-25, by perica123. 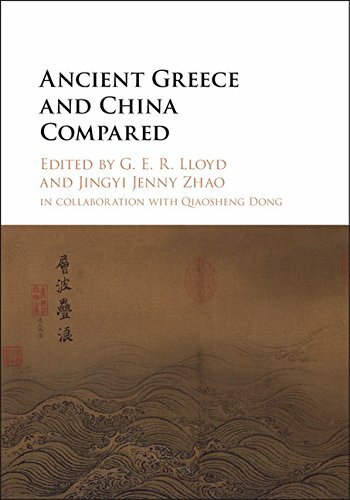 Ancient Greece and China Compared is a pioneering, methodologically sophisticated set of studies, bringing together scholars who all share the conviction that the sustained critical comparison and contrast between ancient societies can bring to light significant aspects of each that would be missed by focusing on just one of them. The topics tackled include key issues in philosophy and religion, in art and literature, in mathematics and the life sciences (including gender studies), in agriculture, city planning and institutions. The volume also analyses how to go about the task of comparing, including finding viable comparanda and avoiding the trap of interpreting one culture in terms appropriate only to another. The book is set to provide a model for future collaborative and interdisciplinary work exploring what is common between ancient civilisations, what is distinctive of particular ones, and what may help to account for the latter. No comments for "Ancient Greece and China Compared".